Who Discovered the Erythrocyte Sedimentation Rate? Recently, an interesting discussion concerning the application of erythrocyte sedimentation rate (ESR) and C-reactive protein appeared in The Journal, with inaccurate information about the history of the discovery of the ESR. Crowson and colleagues in the article1 and later2 suggested that discovery of the ESR occurred in the 1920s. However, the discovery was not made at that time, but at the end of the 19th century. For the sake of the highest standards of discussion, we would remind readers that the discoverer of ESR was a Polish physician, Edmund Faustyn Biernacki (1866–1911; Figure 1)3,4,5,6,7. Edmund Faustyn Biernacki (1866–1911). Reproduced from Biernacki E. Drukarnia Granowskiego i Sikorskiego, 189911. Biernacki announced the discovery in 1897 in 2 articles simultaneously: one in Polish in Gazeta Lekarska4, the second in German in the Deutsche Medizinische Wochenschrift5. It is also possible to identify the exact day of presentation of ESR by Biernacki. Shortly before the publication of his works describing ESR, during a meeting of the Warsaw Medical Society on June 22, 1897, Biernacki presented the 5 most important conclusions from his observations6,7. These were as follows: the blood sedimentation rate is different in different individuals; blood with small amounts of blood cells sediments faster; blood sedimentation rate depends on the level of plasma fibrinogen; in febrile diseases (rheumatic fever included) with high levels of plasma fibrinogen the ESR is increased; and in defibrinated blood the sedimentation process is slower7. The findings presented by Biernacki clearly showed the clinical significance of ESR. In 1906, Biernacki modified his method using a capillary pipette of his own design called a microsedimentator instead of the 20 mm-high cylinder originally used. This technique allowed determination of ESR after sampling capillary blood from the tip of the finger6. As an anticoagulant he used a solution of sodium oxalate. Biernacki’s extremely successful research career was cut short by his premature death at the age of 45. Seven years after his death, ESR was “discovered” by a Swedish hematologist, Robert Sanno Fåhraeus (1888–1968). Fåhraeus analyzed the time differences of erythrocyte sedimentation occurring in 2 groups of women: pregnant and not pregnant. He presented the results of his work in 19188, and 3 years later, discussed it extensively in the journal Acta Medica Scandinavica9. Fåhraeus saw using ESR as a possible pregnancy test. Another scientist involved in the “discovery” of ESR was Swedish internist Alf Vilhelm Albertsson Westergren (1891–1968). Based on observations of the sedimentation of blood obtained from patients with pulmonary tuberculosis, Westergren presented a similar description of the phenomenon of ESR10 as those given by Biernacki and Fåhraeus. Westergren applied a blood sampling method to the ESR test using sodium citrate as a coagulant. Westergren also defined standards for the ESR test. After hearing about the earlier publications of Biernacki, Fåhraeus acknowledged his precedence as to the discovery of the ESR. Westergren, however, in the review of his work on the ESR, did not include Biernacki’s articles3. This summary of the discovery of the ESR is also an example of the current difficulties in the exchange of medical ideas, not only before the era of Medline and PubMed, but also at a time when medical publications were not yet dominated by the English language. In the late 19th and the early 20th century, significant medical achievements were presented mainly in French and German. It is essential to mention that the ESR test in modern medical practice is denoted by the abbreviation “FW” — the Fåhraeus-Westergren test, especially in Britain, or is referred to as the Westergren test1. Both these scientists, whose names are often used in the English language literature to refer to the technique of the determination of ESR, presented their “discovery” in articles written in English. Both these articles were published (in English) on the pages of the same journal: Acta Medica Scandinavica, and in the same year, 1921. Biernacki, on the other hand, presented his discovery in German and Polish more than 20 years before. Therefore, is it possible that modern scientists noted only the reports of the discovery presented in English and in one medical journal? Or is it just an oversight resulting from insufficient knowledge of the historical facts? In order to maintain the highest standards of scientific reliability the “ESR test” should be named by specifying the method used, e.g., ESR test by Westergren method. The ESR test was discovered by Biernacki, and Westergren’s achievement was the development of a new laboratory technique. We postulate that in scientific reports in which there is a historical aspect of the introduction of the ESR test (even if only as a reference), Biernacki’s discovery will not be overlooked.
. Which measure of inflammation to use? A comparison of erythrocyte sedimentation rate and C-reactive protein measurements from randomized clinical trials of golimumab in rheumatoid arthritis. J Rheumatol 2009;36:1606–10.
. The story behind the acute-phase reactants [reply to letter]. J Rheumatol 2010;37:470.
. Edmund Biernacki and the erythrocyte sedimentation rate. Lancet 1987;329:696.
. Samoistna sedymentacya krwi jako naukowa i praktyczno-kliniczna metoda badania [Spontaneous blood sedimentation as a method for scientific and clinical investigation]. Gazeta Lekarska 1897;17:962–8, 996–1004.
. Die spontane Blutsedimentirung als eine wissenschaftliche praktisch-klinische untersuchungsmethode. Dtsch Med Wschr 1897;23:769–72.
. 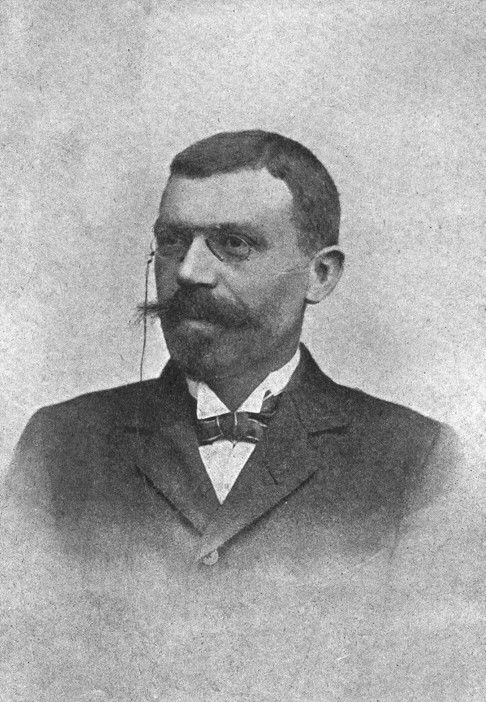 Professor Edmund Biernacki (1866–1911) and the discovery of the erythrocyte sedimentation rate. S Afr Med J 2006;96:40–1.
. Edmund Biernacki 1866–1911. Acta Physiol Pol 1987;38:170–6.
. Über die Ursachen der verminderten Suspensionsstabilität der Blutkörperchen während der Schwangerschaft. Biochem Z 1918;89:355–64.
. The suspension-stability of the blood. Acta Med Scand 1921;55:1–228.
. Studies of the suspension stability of the blood in pulmonary tuberculosis. Acta Med Scand 1921;54:247–82.
. Istota i granice wiedzy lekarskiej [The essence and the limits of medical knowledge]. Warszawa: Drukarnia Granowskiego i Sikorskiego, 1899. You are going to email the following Who Discovered the Erythrocyte Sedimentation Rate?